Recently, I had to check my luggage. Oh, the misery of it! The only time I check my luggage is once or twice a year when The Professor and I go skiing. I have not yet discovered a way to pack ski sweaters, pants, scarves, mittens, ski helmet and ski boots in a carry-on. I have thought about breaking it up into several carry-ons and asking other fellow travelers who had only one piece of luggage if they would take one of mine. But I’m afraid TSA agents would be on me like flies on honey and I would end up in one of those security rooms with only a table and light bulb hanging from the ceiling. Not good lighting for someone my age. So, I try to do WHATEVER it takes to avoid checking my luggage. Even traveling overseas, it has to be carry-on. Lesson learned long ago that oversize luggage is not conducive to trucking around Europe. Narrow hotel stairwells, cobblestone pathways and European car trunks do not make for happy travelers! No, when I travel, I’m a minimalist. Dreaded words for a traveler. Words that I’ve heard a few too many times before I smartened up and became a traveling minimalist. 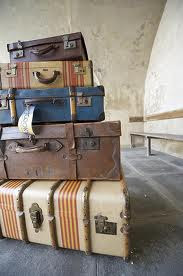 In 1983, as a poor college student and single mother of three, my beat up luggage never showed up on a very short return flight from Aspen to Denver. A DIRECT flight and my two bags ... gone! Only mine, no one else’s. Louis Vuiitton's they were not. What are the odds that my bags were lost or stolen when so much better luggage was available for the picking. Hello! 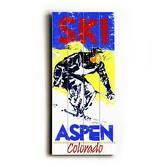 It was Aspen for god’s sake? Home of Hollywood stars. Maybe my shabby luggage had to fly cargo plane to Denver. My kids wouldn’t talk to me for days cause I had LOST their precious T-shirt gifts. Not to mention my meager college wardrobe of my fave sweaters and jeans. In 1989, another bag was lost on a return business trip from San Diego to Des Moines never to be recovered again. 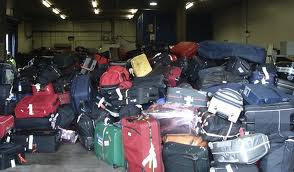 I’m sure all of my lost luggage has ended up at the Unclaimed Baggage Center warehouse in sleepy Scottsboro, Alabama. In case you didn’t know, these are the folks who buy luggage from the airlines after 90 days and put it up for sale. Someone in Alabama is walking around in my kids’ Ski Aspen T-shirts. I have had about a half dozen episodes where my luggage didn’t arrive but fortunately it was delivered to me the next day. An inconvenience, but at least it showed up. But the biggest inconvenience is when your luggage is a no show on your arrival in a foreign country. This is trouble. Like trouble in River City or ... Malaga, Spain. International Travel? Let’s talk about that tomorrow!